Long before this much publicity came to yoga my grand father used to practice asanas, chakras and mudras in yoga. To my knowledge my grandfather has never gone to a doctor. He has neither diabetes nor blood pressure. He taught us the way to practice mudras. Mudras are very powerful. 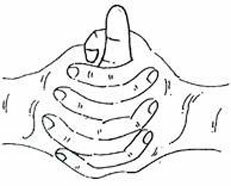 If you practice these mudras regularly you can see the wonderful health benefits. • It helps to increase the weight for weak people. •	It improves the complexion of skin and makes the skin to glow. •	It makes the body active by keeping it healthy. • It retains clarity in blood by balancing water content in the body. •	Prevents the pains of Gastroenteritis and Muscle Shrinkage. • It cures Rheumatism, Arthritis, Gout, Parkinson’s disease and paralysis without any medicine. • It strengthens the heart and regularizes palpitation. • It regulates excretory system. • It redeems gastric trouble. Practice it any time you want. But don’t practice it a lot as it produces heat in the body. It can cause sweating even in winter if you practice it longer.